With unique and personalized accommodations sprouting up left and right, it’s no wonder “staycations” have become the new thing. But in a naturally beautiful country like the Philippines, it’s almost shameful to stay cooped up indoors, no matter how warm and fluffy your hotel duvet is. While the adventurous can challenge themselves to rough it out in the many spectacular camping spots the country has to offer, the not-so-outdoor-savvy can now take advantage (thankfully) of an innovation that combines the best of both worlds: glamping. Nested in one of the most beautiful locations in the country, The Birdhouse in the Palawan municipality of El Nido is the epitome of glamorous camping. Each luxury tent, which they aptly refer to as “nests,” can sleep up to four people and has a private bathroom and outdoor lounge area. But most importantly, these nests are perched high up among the trees, giving glampers the most amazing views to wake and fall asleep to. Guests can spend their days hopping through El Nido’s gorgeous islands and their nights gathered around the BBQ pit with hot cocoa and s’more’s. Prefer mountains and lakes over beaches and the sea? BLOC Camp Site in Laguna, just a few hours drive from busy Metro Manila, is a must. The glamp grounds are absolutely serene, making it the perfect weekend escape. Enjoy activities on the lake: go swimming or paddle boarding, or hop on a rowboat and visit the islet of your choice. After a good night’s sleep in the cozy tents, wake up before dawn to catch the breathtaking sunrise. It might just become your favorite part of the trip. Now this one’s for the bold and the adventurous—not a glampsite but an actual campsite for roughing it off the grid. 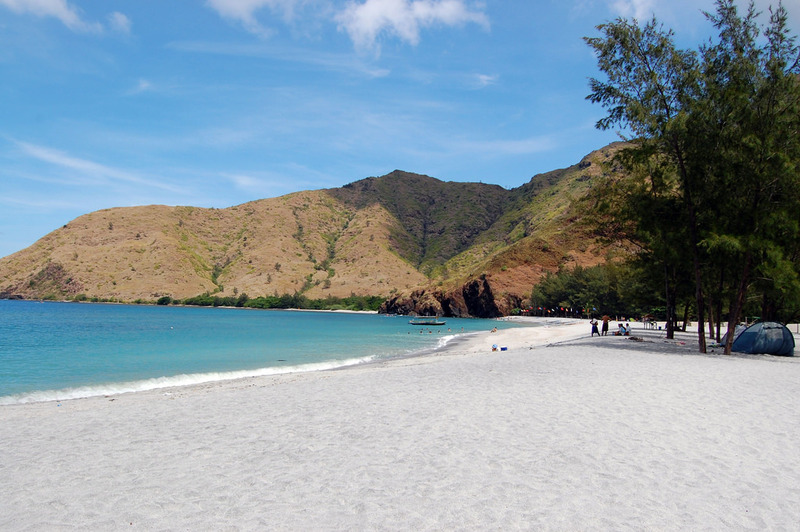 Anawangin Cove in Zambales is said to have been turned into the beauty it is today by the tragic 1991 Mt. Pinatubo eruption. Today, the cove is one of the most popular campsites near Metro Manila, so it’s best to come on weekdays when the crowds are limited. There’s no electricity or network connections, so pitch a tent, cook the old fashioned way, and take in the beauty of the agoho trees, picturesque mountain landscapes, and crystal clear waters. Within the same perimeters as Anawangin, Nagsasa Cove bears the same history and similar characteristics. 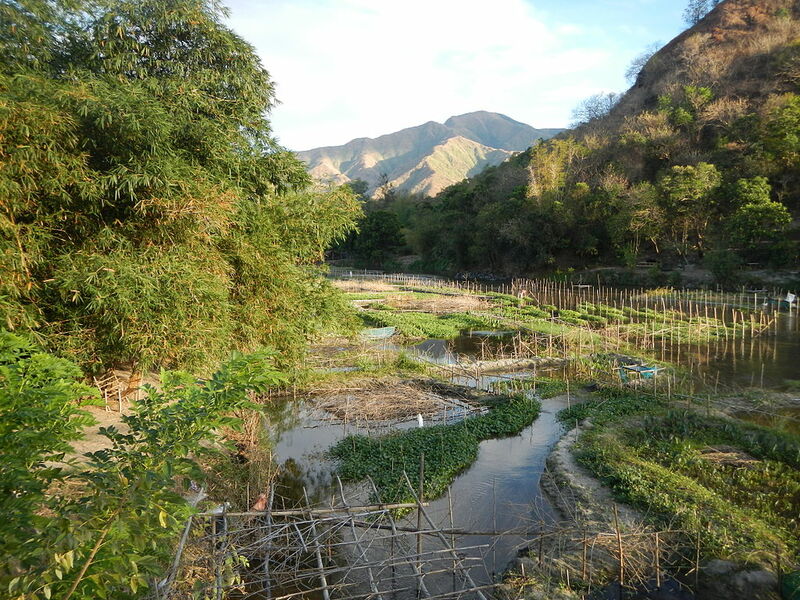 One difference for which people prefer Nagsasa, however, is that it attracts fewer crowds, so this is probably a better bet for weekend camping. As in Anawangin, enjoy stunning views and scenic activities like trekking up and around its mountainous terrain. There’s more to the “World’s Best Island” than just El Nido and Coron. Halfway to these tourist hot spots from Puerto Princesa is the covert gem of Port Barton. Here is nestled Toby and Thelma’s beachfront glampsite, where spacious tents under sturdy nipa roofs (each with its own outdoor lounge furnished with hammocks, bamboo furniture, and a bonfire pit) face the shoreline. Three daily meals are conveniently included in accommodation prices, and guests are free to use their own kayaks and snorkeling equipment. Island hopping tours—an absolute treat—can be organized with them as well and allow guests to not only visit Port Barton’s gorgeous beaches but also to snorkel its exquisite coral reefs and swim alongside sea turtles. Nayomi Sanctuary Resort in Batangas has jumped on the bandwagon and added glamping to its accommodation services. The resort boasts two pools from which guests can enjoy the spectacular surrounding landscapes, and tents have their own individual bathrooms and are big enough to sleep six to nine people. In the evenings, the resort hosts bonfires and sometimes even film viewings under the stars. And with the absence of Wi-Fi, guests are encouraged to reconnect with nature. Though quite a long distance via winding roads from Metro Manila, the peaceful solitude that is Easy Adventure in Baler makes it all worth the drive. Each spacious tent at this glampsite is comfortably furnished with full sized beds, armchairs, and tables. Set perfectly for relaxation, the area sits within walking distance from the beach and is equipped with a yoga deck overlooking fields of flowers and the sea. Easy Adventure consciously makes sustainable choices, so electricity is not available, but this allows guests to vividly see the fireflies whimsically fluttering around at night. Here’s another one from breathtaking El Nido—think a trip to one of the most beautiful places in the country can’t get any better? Aeta’s Glamping will prove you wrong. This glampsite, a perfect mix of luxury and traditional rustic charm, is still accessible from the El Nido town proper yet far enough to drown out its hustle and bustle. But even more than its large, elevated tents overlooking picturesque rice fields, each one with its own immaculate bathroom, the best part of Aetas Glamping is the exquisite service, which just needs to be experienced. Surrounded by crystal clear waters, this beautiful island lies in Nasugbu, Batangas, just a few hours from Metro Manila. Fortune Island is another place to rough it, ditching basic amenities like electricity and running water for days of swimming, cliff diving, light trekking, and lounging on the sand. 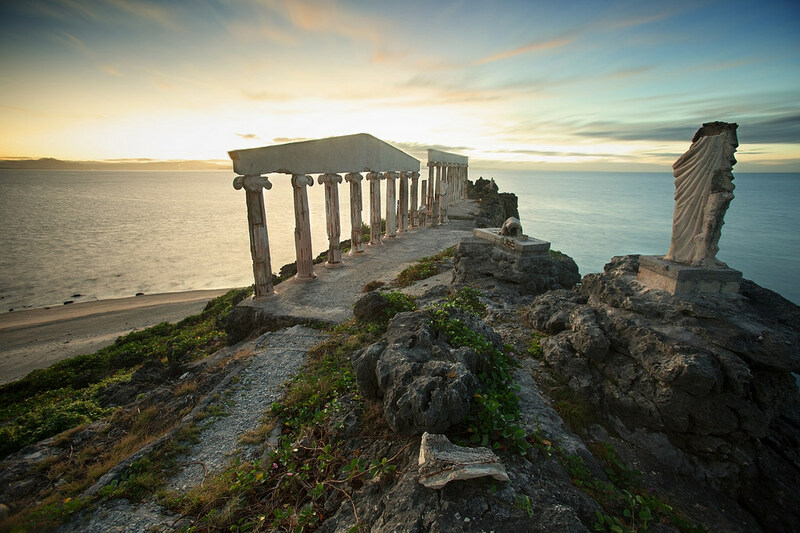 Adore its incredible views and iconic Grecian pillars ruins as you set up camp and waste the day away guilt free. For a weekend of pure vegging out and an instant pick-me-up, head over to Sand and Stars Beach Resort in Dinadiawan, Aurora. This glampsite is set right on the beach, so glampers get to wake up, zip open their tents, and be greeted by the ocean’s crashing waves right before them. More than luxurious, the tents here are quaint, bright, quirky, and adorned with colorful blankets, throw pillows, and mini furniture.